I rarely say this, but Toronto should be a lot more like Vancouver. I don't think we should wear more fleece or do more yoga, but I do think Vancouver is on to something when the city makes it easy for Vancouverites to build laneway houses. Here in Toronto it is next to impossible to build a laneway house. Of course, "next to impossible" does not mean it cannot be done. If you have a preexisting structure and a laneway that has two exits for emergency vehicles to move, your chances are better, though still tough. Also, with a condo, like the Duke under construction in the Junction, part of the condo is planned laneway houses. Sadly, if you are not a developer, then this certainly won't work for you. I'm surprised that the city of Toronto still makes it so difficult to build laneway houses, especially with the rise of such groups as Toronto Laneway Renaissance whose mission is to make laneways more useful and more aesthetically pleasing throughout the city. In addition to this, Toronto's official plan allows for densification. This usually means building condos on previous parking lots, or unused land, but why not laneway houses on long lots? Is it not a good way to increase density in the city? Would that not help with the mandate of the official plan? As the city of Toronto sees it, at this point, laneway houses create more problems than benefits. It would put more stress on existing infrastructure like water and sewage. The city gets cranky when there are no fixed address or street names for laneways. In the eyes of the City, to give laneway addresses and names would cost they city money, even though they would also create more property taxes with more homes. For some laneway houses, they would take the place of a garage and remove the street property's parking spot creating a bigger burden for street parking. In many Toronto neighbourhoods, it is already very hard to find street parking. Some do not even give out permits any longer. Still, I do see houses in our city with nothing but land in the backyard off the lane, with parking in the front or through a mutual drive. In Vancouver, new laneway houses need to have a parking spot. So, solutions do exist! I can understand there are certain drawback for the city's perspective to building laneway houses, but there are more benefits than disadvantages when the laneway houses are built right. First, they look great! Mostly because they are built by eager architects and design folk who have the patience and the know-how to work through the city permit process. Secondly, they usually are small spaces that are designed well to maximize their usage and be more sustainable. 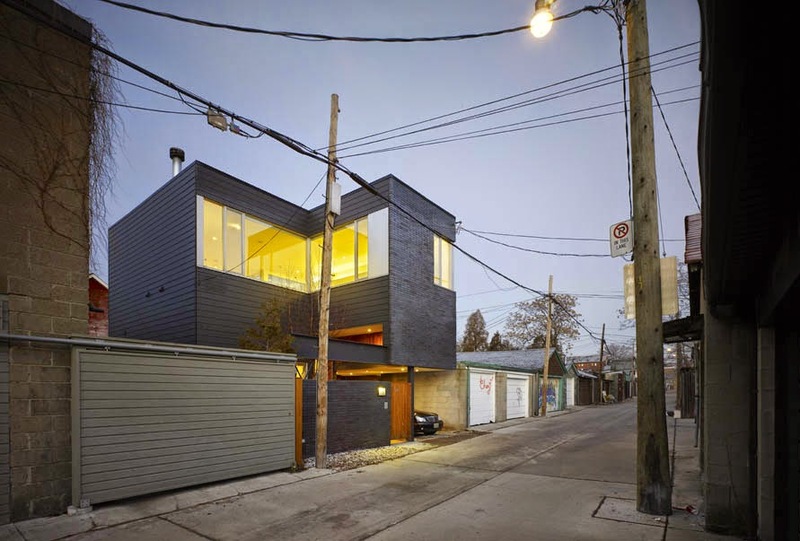 From the city of Toronto, laneway houses would take the heat off of the increasing demand for low-rise houses. It would create a whole new area where houses can be built. Best of all, for those who live there, laneway houses would be quiet, often away from a busy street. Not even on a street at all, but tucked away in the back away from traffic. To be honest, I don't see the City changing their minds soon. It's too bad. It would really make good use of this city and open the flood gates for a lot of creative projects that would offer a whole new option for city living with the houses, condos, and lofts. It would ease the pressure on the limited low density housing demand, and it would create a stronger tax base for the city. Let's hope I'm wrong, and the new mayor can be open to a little vision in the next four years.